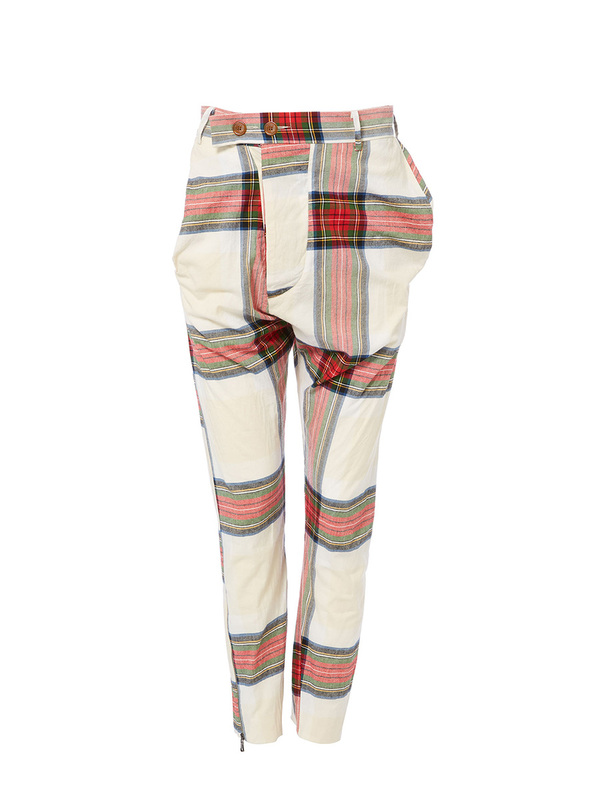 Vivienne Westwood Alcoholic Trousers Tartan S26KA0231. In multi-toned tartan, tailored for a regular fit, the timeless Alcoholic Trousers are produced in pure organic cotton. This iconic Westwood staple features a dropped crotch and asymmetric button fly, finished with a three pockets design.